My name is Cole Siebler. 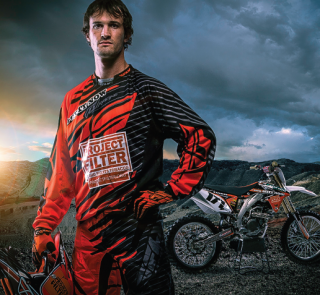 I am 29-years-old and have been a professional motocross racer for the past 12 years. I am one of the racers on the Project Filter team, and I’m proud to say I have been tobacco-free my entire life. It would not be possible to use tobacco products and compete at the professional level in any sport, especially one as physically demanding as motocross. Unfortunately, I have seen firsthand the effects tobacco can have on people and it is devastating. If you are a tobacco user and ready to quit but don’t know how, Project Filter is here to help, so just give them a call.